Welcome to Country Green Turf Farms, where we provide the highest quality of agricultural products in the Northwest. 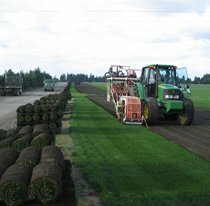 Since 1988, Country Green has been providing high quality sod to meet any turf need that may arise. While we grow sod and provide it for different service needs, we also provide several other services to offer a comprehensive turf solution. Some of our other services include hydroseeding, fertilizer, landscape supplies and lawn establishment. Happily providing turf solutions since 1988! 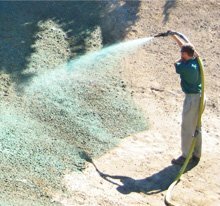 Hydroseeding and drill seeding are two options that we offer for seed application. Slice seeding, top dressing, and fertilizing are other services that we provide for the care and maintenance of athletic fields and parks.